Hedge funds grew their assets by 17% last year despite less-than-stellar returns. 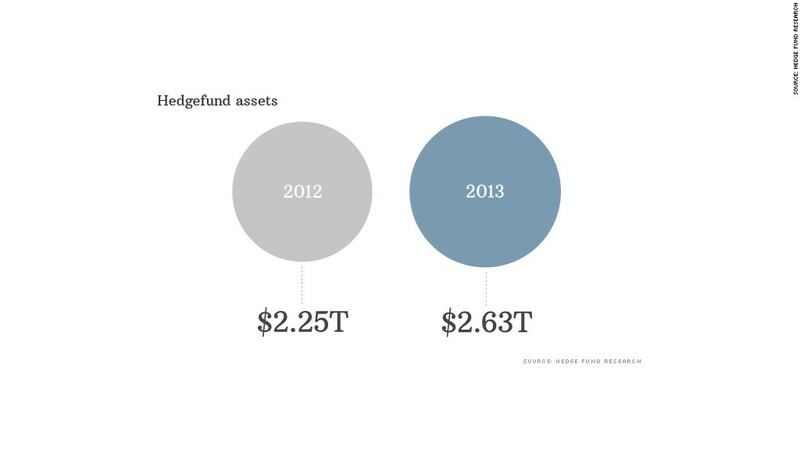 Hedge funds just keep getting larger and larger. Too bad their returns aren't. Money invested in these high-octane investment vehicles surged 17% to a record $2.6 trillion in 2013, according to a report from Hedge Fund Research Inc. But Hedge Fund Research's Fund Weighted Composite Index posted just a 9.2% gain last year. The S&P 500 surged nearly 30%. So investors could have enjoyed nearly three times the return by simply putting their money in a passively managed exchange-traded fund that mimics that blue chip index. Hedge funds employ a broad range of sophisticated investment strategies aimed at beating the market without depending on the performance of the broader market. But hedge funds have taken heat in recent years, as high fees and lackluster returns have led some experts to question their value. Even some legendary hedge fund managers couldn't deliver last year. Bridgewater Associates' $70 billion All-Weather fund , run by Ray Dalio, fell 3.9% for example. With high minimum investment minimums and lockup periods in which investors can't take out their money, access to hedge funds is exclusive. Pension funds, sovereign wealth funds, and high-net worth individuals are the typical investors in hedge funds. And some experts defend the industry. They argue that hedge funds are able to hold up better during downturns in stocks and bonds. In other words, they offer investors a high-level of protection. And for those who already have a lot of money, preserving wealth may be more important than building it. "Part of it is having realistic expectations. You're not going to get 30% returns every year," said Darell Krasnoff of Bel Air Advisors, which manages almost $6 billion for wealthy families. "But if you can get 12% every year, that's a good place to be," he said. But hedge funds are making a bigger push to reach the average Joe. A provision in the JOBS Act implemented last year allows hedge funds to market their products directly to potential investors, a practice that was previously banned. And even some traditional mutual fund companies have gotten in on the action. Fidelity Investments partnered with the Blackstone Group (BX) last year to launch a mutual fund consisting of stakes in numerous hedge funds. But it's not cheap: Fidelity requires a minimum $50,000 investment and will take a cut of 2.4% in fees. Ironically, hedge funds that simply wagered that stocks would rise in 2013 had the best performance. Star hedge fund manager David Tepper, who runs Appaloosa Management, reportedly had a 38% return through November by investing in U.S. stocks. But many mutual funds and other ETFs that invested in stocks also did that well last year ... and charged much lower fees. As for 2014, the spigot of cash should continue to flow into hedge funds, according to Donald Steinbrugge of Agecroft Partners in Richmond, Virginia. 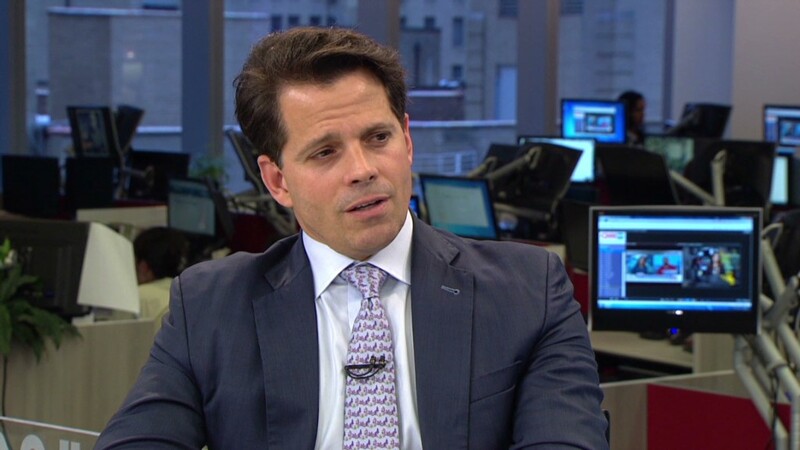 But he said competition for dollars will be tight and he's critical of hedge funds that get too big for their own good. "These managers have morphed into asset gatherers who focus more on collecting large management fees versus generating maximum returns for their investors," he said in a note last week.